The recent Forrester 2018 CX NYC highlighted brands that understand what it takes to deliver to exceptional experiences to consumers. Amid digital transformation and the so-called retail apocalypse, executives at CX NYC emphasized adding value to every touchpoint, both digital and traditional. Companies like Citi and Tiffany focus on CX by following three key points: making stronger emotional ties with their customers by making them feel valued, being transparent by giving customers the full picture and giving them access to their information and by giving their customers a better and authentic in-store experience. Despite their differences, each company’s executives shared a common goal of recognizing change while preserving their signature brand. See what they said in the video. 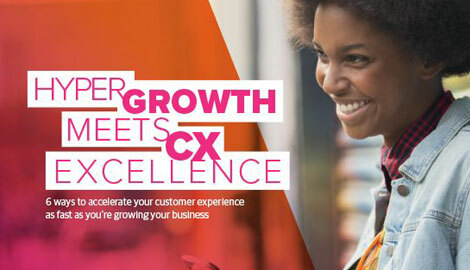 And while brands like Citi and Tiffany have given CX a focus, Forrester has found that overall progress toward excellent CX quality has plateaued. “Progress on CX quality has stalled,” said Harley Manning, VP and research director at Forrester, on stage at the research firm’s annual CXNYC Forum. Part of the problem, Manning added, was that it’s relatively easy to transform a poor experience into a decent one but harder to vault into an exceptional experience. The report found that the number of good and poor scores dipped, while the number of OK scores rose. The percentage of brands in the good category decreased by 1 percentage point, as the quality of some brands’ CX fell. Similarly, the number of brands at the poor level shrank by 2 percentage points as the quality of their CX rose. As a result, the percentage of brands in the OK category rose 3 percentage points. The report’s finding is in line with other studies. More than two-thirds of marketers said their companies compete on CX, according to the 2017 Gartner Customer Experience in Marketing Survey, and 81 percent expect to do so by 2019. Research shows a strong link between customer behavior and emotional connections. Yet, companies often focus on the functional side of the experience while neglecting to build an emotional connection with customers, said Joana van den Brink-Quintanilha, Forrester principal analyst. Tools such as customer life-cycle maps, journey maps, and ethnographic research can help create those emotional connections by figuring out “how your company fits into the customer’s life,” she said. True customer intent is notoriously difficult to pin down. Customers may say one thing and behave differently. That’s why companies should take multiple factors into consideration and take a long view when measuring feedback, said Carvana CEO Ernie Garcia III. “Too often there’s a focus on the immediate measurables,” he said. Customer experience isn’t just a talking point anymore—companies understand it’s a business imperative. But CX differentiation isn’t static and today’s frontrunner could become tomorrow’s laggard if leaders don’t act soon. Arussy recommended asking six questions to help jump-start a stalled or nascent CX initiative, listed in the video below.